In the age of big data, with a new set of compliance regulations and laws, the choice of the right in-house email archiving software can make or break a business. The technology behind these tools is sometimes hard to grasp, but it’s necessary to understand it before making your purchase. 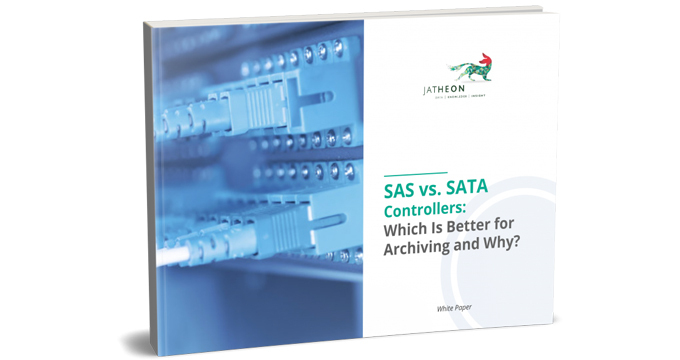 Although there is little physical difference between SAS and SATA controllers, the wrong choice can jeopardize the efficiency of your system. This whitepaper provides an overview of technical differences between the two protocols and then goes on to explain how their features can affect your system’s performance. We compared SAS and SATA with respect to crucial system aspects such as speed and efficiency, protection and recovery strategy, storage management and cost optimization. Most importantly, you’ll learn why one of the two controllers is the only logical choice for organizations that need ultimate data safety and have a larger number of end users.